An organizational chart helps teams of people understand how they work together. When you look at an org chart, it should be obvious who reports to whom. If you can’t tell when looking at an org chart, perhaps it is another type of diagram. Organizational charts are hierarchical. Every reporting relationship is clear. Diagrams are not always hierarchical. They can convey many other ideas besides a reporting relationship. Organizational charts have been used for decades to quickly convey information about a hierarchical structure. Just a few years ago, it would take hours to painstakingly create an org chart in PowerPoint, Visio, or some other drawing software. 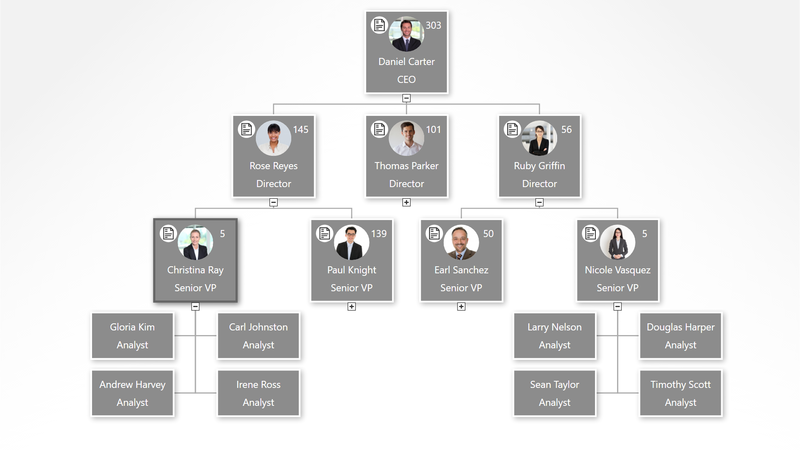 Recently, modern org chart software tools can create large organizational charts in minutes. The first organizational chart is epic. It takes up a giant piece of paper and was hand-drawn by George Holt Henshaw. Look at it. It makes one wonder at the beauty of an org chart made with such artistic grace. 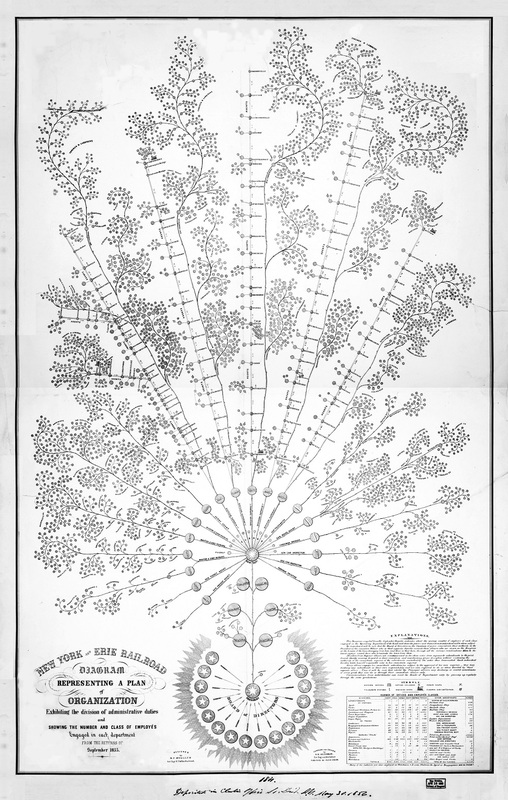 Why don’t modern org charts look like this? Expense: Can you imagine hiring an artist to draw something similar for your organization? Detailed: While it’s cool to view all levels of an organization at once, it’s also important to be able to zoom in and see relevant details like headcount or contact info. Branded: The first organizational chart clearly says “New York and Eerie Railroad” in the corner. Your org chart might not end up in the Library of Congress, but it’s important that people immediately see your brand when they look at your org chart. Knowing how you’re going to use your organizational chart is a critical first step in creating an org chart. First, decide if you want to draw your org chart or automatically create your org chart from data. It’s weird that people often draw org charts considering the drawbacks. Is it because people are in such a hurry to get started that they use whatever drawing software they already have? Or could it be that people fail to grasp how large a project creating an org chart can be? Automatically creating an org chart from data is the better choice for most people. The main hurdle to overcome is to accept that you’ll need to spend 15-30 minutes learning a new organizational chart software tool. 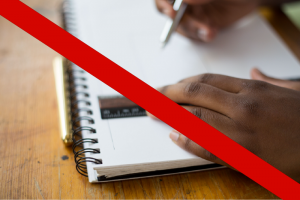 That’s 15-30 minutes you could have spent drawing an org chart, but it’ll save you countless hours when it comes to updating, editing, designing, and sharing automatic org charts. There are many different types of organizational structures, but the two main examples are Functional and Divisional. Here are two simple examples of these types of organizational chart.